Fresh Angeles: Do You Need New Business Cards? 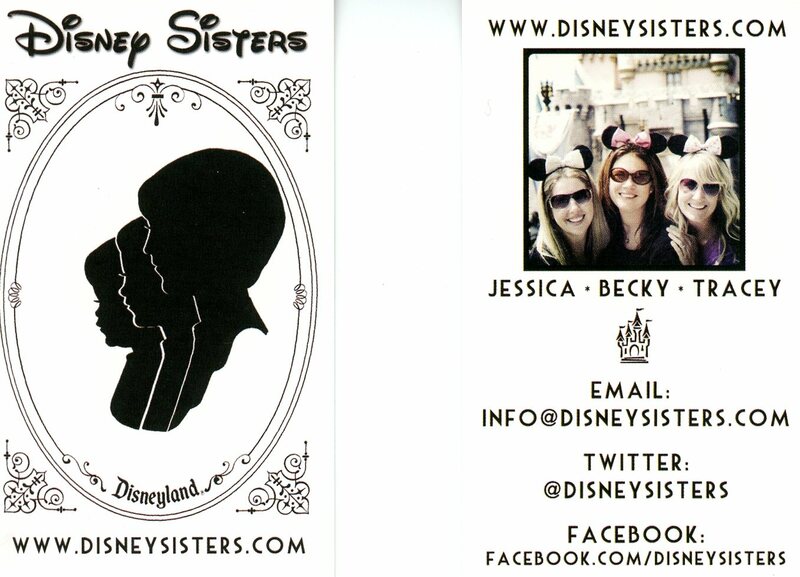 Most of you know that my sisters and I have started this new adventure called DISNEY SISTERS, a new blog about our love for all things Disney. Well anytime you start a new business one of the most important things that you need are Business Cards. 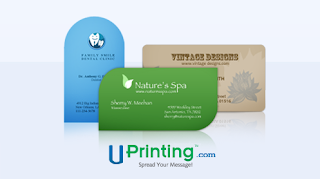 I first heard about UPrinting, an online printing company a few months ago from a graphic designer friend who had just used them for his business cards. I liked his cards, and when it came time to get our our cards done, I knew that I wanted to try UPrinting for their business card design services. I'm always nervous when trying out a new company. Maybe it's just me, but I don't want to be disappointed for something that I paid good money for. Especially when ordering things online, because you can't see the final product until it's done and at that point it can already be too late. Plus I was under a tight deadline to get these particular cards back, because we wanted them for the D23 Expo. The cards (as you can see) are amazing. We are so thrilled with how they turned out and what great quality they are. I've gotten my business cards for various projects in the past and I've used a few different companies. But now I have started recommending UPrinting to my friends and family. The bottom line is they provide good quality business card printing at a great price. They also create other things that will help make your life easier including Calendars, Flyers, Greeting Cards, Invitations, Postcards, Posters, and much more... and now folks it's time for a GIVEAWAY!!!! Aren't you ready to update your Business Cards??? Or maybe you're all out & just haven't gotten around to ordering more! Maybe you can't afford it. Hey times are tough right now, nobody knows that more then my husband & I. Well now's your BIG chance to win some for FREE! Limited to US Residents 18 years or older. 1) Please leave a comment below saying which shape of die cut business card you like the best? I will pick a winner on Friday morning 9/23/11 & notify by email. Please respond within 24 hours to ensure your prize. Good Luck to all who enter! Full Disclosure: This giveaway is sponsored by UPrinting, no monetary compensation was given & I will receive a set of business cards for hosting. I did order my first set of business cards & paid for them myself. The only reason that I am doing this post is I was very pleased with the results. As always these opinions are 100% mine and 100% fresh. I like the leaf design, it's different. Thanks for offering up such a great prize. Leaf Design is cool, but I like the blue half circle design. It's a unique design for a business card tgat will always leave an impression on who ever you leave it with. I like Uprinting on FB. Shannon Wieneke. I like Disney Sisters on FB.